Create your own Custom Martingale Collar with your dogs name or saying, add a leash to match with symbols on the fringe. These collars are made with high strength nylon webbing as the base, we then add a nice double layer of fleece followed by either patterned grosgrain ribbon or fabric, the hardware is all steel. These collars will be made to your specifications and will allow for a small adjustment. We use strong, high quality thread and each letter is tightly sewn into the ribbon, there are no loose threads. We will not accept returns or exchanges on personalized items, so be sure you have measured your dogs neck correctly and have requested exactly what you want. We are always here if you have questions just send us an e-mail. 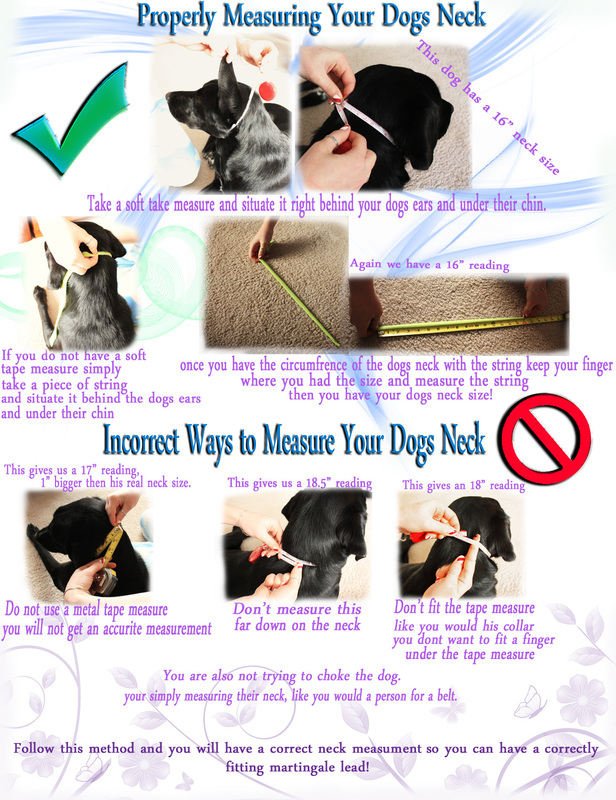 Be sure to read how to Correctly Measure Your Dogs Neck so we can make the collar fit your dog perfectly. ​Lettering on some printed may not show well, consider using a bold font such as the Daily or Drake along with a thread color that will stand out on the ribbon, using capital letters will also help the lettering show up better or select to monogram on the leash fringe instead. Solid color ribbon always looks great for lettering. ©2019 Rush to Tug Agility Leads. All content on this website is property of Reesa Hauge, under no circumstances may any of the content be copied in anyway without written permission.